Rumours from leaks sprung last week have turned out to be true, Skyrim is getting a remaster. In Bethesda’s E3 conference, Todd Howard announced that The Elder Scrolls V: Skyrim Special Edition will be headed to PC and both the PS4 and Xbox One consoles come 28 October 2016. It may not be quite the Skyrim II some wishful-thinking fans were hoping for. Nor is it the highly anticipated and still mysterious Akaviri Elder Scrolls VI, which has been rumoured to be set in locations across Tamriel as different as Black Marsh, Hammerfell, and Elsweyr. Take all of those speculations with a grain of moonsugar though. It might even make Khajiiti lore somewhat comprehensible. Bad news out of the way, the good news is it’s more Skyrim and more Skyrim. With the game to feature beefed up graphics based on technical buzzwords such as “new snow shaders” and “volumetric god rays”. The bigger news though, especially for console owners, is that The Elder Scrolls V: Skyrim Special Edition will also feature select mods. Hopefully a cheese-based mod or two makes the final cut. Bethesda might also give a few of Skyrim’s quirks a fix. Like Kahvozein’s Fang needing to be equipped in the right hand to collect the Dragon Heartscales. Truly a head-scratcher and scourge of the encumbered, and especially left handed, questers everywhere throughout the lands of Skyrim. Look to the sky for signs of falling mammoths as proof one way or another. 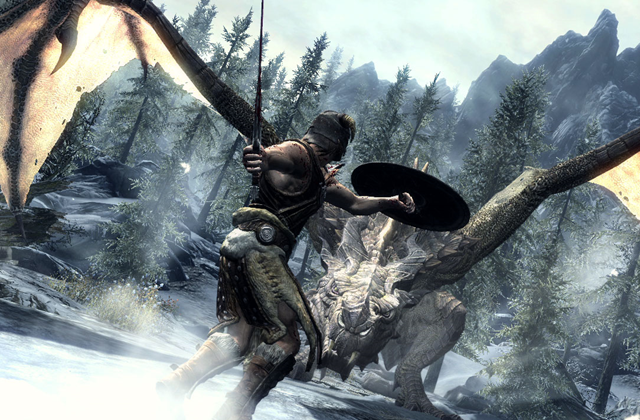 Remastering Skyrim, a game that’s only five years old, might be too soon for some though. It could also suggest it’s a bit of a technical testing ground for The Elder Scrolls series and the proper The Elder Scrolls VI when it finally is read from the Scrolls. A way to put some more bugs in jars, ahead of time. Or it’s a gold cash grab. Struggle Street: When to Intervene in a Documentary?